In order to move past those stuck spots as an entrepreneur, you have to be willing to work on yourself. You need to do some stretch assignments in your mind about what’s next. 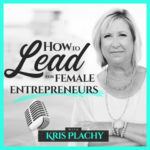 Here is a series of questions I’d like you to think about as a woman who is leading a business and a team. Who are you in this role as a leader? What do you find is easy and what is difficult? How are you different today than when you first started your business? What do you love about what you do in your business? What do you want to be like to work for? What’s your philosophy around paying people money? What expectations do you have of people who join your team? I have a group I’m running specifically for female entrepreneurs called The Executive Group. I’m only accepting a handful of new women to join each month. Let’s schedule time to talk if you’re interested.